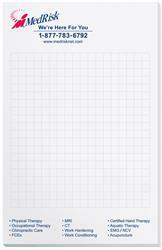 Scratch pad with 50 sheets of 50 lb. white offset paper and chipboard back. 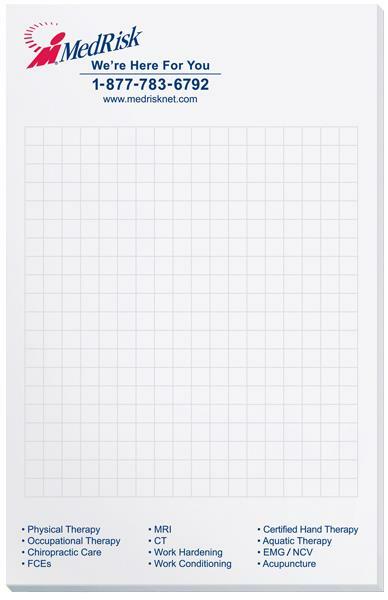 Scratch pad with 50 sheets of 50 lb. 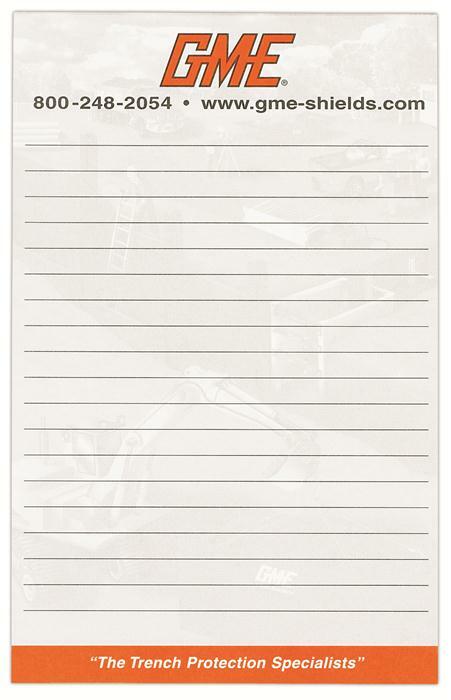 white offset paper printed one to four standard colors or four color processand a chipboard back, a perfect desk companion for recording notes. 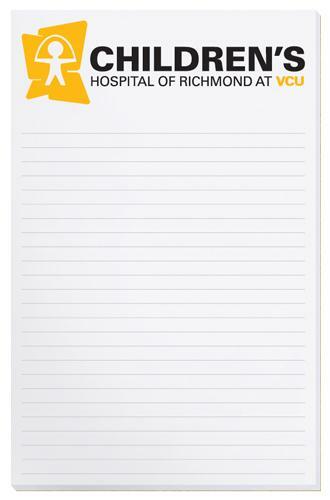 This business necessity will keep your logo and message within arms reach day after day. Perfect for any environment, for corporations, in police stations, doctors' offices, animal shelters - truly a promotion with universal applications. 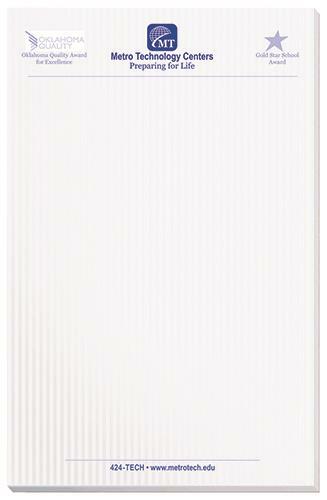 Size: 5 3/8" x 8 3/8"
Imprint Area: 4 7/8" x 7 7/8"